We were so thrilled to have been recognized as an Emerging Professional Friendly Firm again for 2018 at this year’s AIA Tennessee Conference. Here at TMP, we take great value in our emerging professionals. We know that they will play critical roles in the vitality and growth of the firm. All new employees are hired with the assumption that they will one day lead the firm. We pride ourselves on providing opportunities for our emerging professionals to develop their careers. We also encourage them to develop their leadership skills outside of our office. Our EP’s are involved in leading the community through AIA, ACE, NAWICK, NAIOP, and CSI, to name a few. 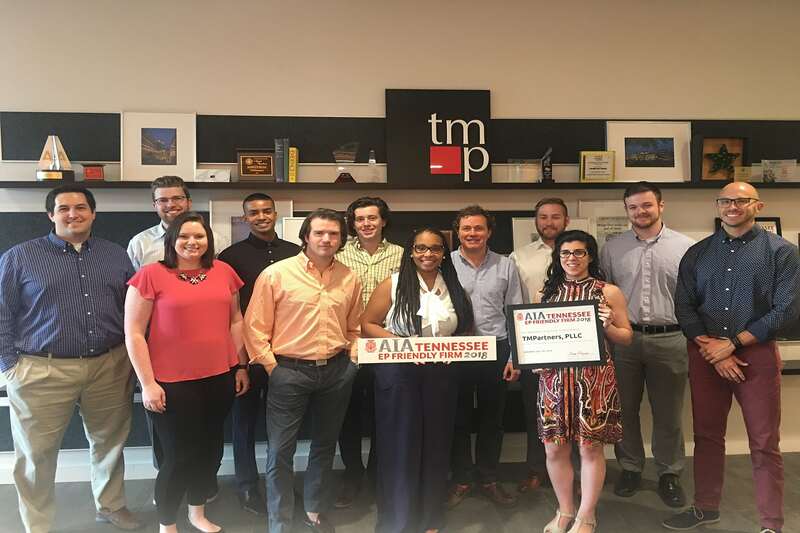 We thank AIA Tennessee for promoting practice management in firms that benefits the future of our profession! We look forward to making it three years running! Are you an emerging professional interested in joining a team that takes care to develop their employees into great architects and community leaders? Check out our Careers page!